There is nothing out there. Such is the claim, at least, of politicians and oil company executives, amazed that anyone would fight to protect the miles of plateaus and canyon bottoms that stretch across southern Utah. Even tourists see this region as an empty spot on the map an excuse to drive directly from Capitol Reef to Arches National Park. 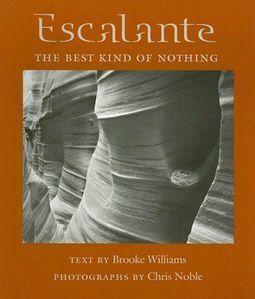 But it is precisely this nothing that writer Brooke Williams and photographer Chris Noble find captivating about Escalante. In this thoughtful and exquisitely illustrated rumination, the authors tour the network of chasms and gorges that began forming millions of years ago on the Colorado Plateau and today constitute a desert paradise of mesas, buttes, and boundless solitude. At the center of this landscape is the region known as Escalante, 1.7 million mostly roadless acres, where silence, darkness, and emptiness have no intrusions. 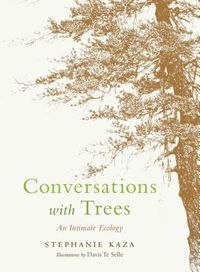 With refreshing originality and a haunting rhythm to his prose, Williams reflects on the notion of space and seclusion both internally and externally. Williams also celebrates the landscape: its geology, flora and fauna, its people from the ancient Fremont to its Mormon pioneers, hiking aficionados and recluses such as Everett Ruess, and the controversial politics involved with the creation of Grand Staircase-Escalante National Monument. Chris Noble's photographs break down the distinction often felt even in very fine photos, that between the observer and the place. 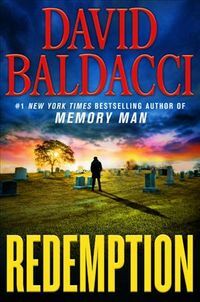 These images pull the reader into the landscape, seamlessly merging the experience and the setting. 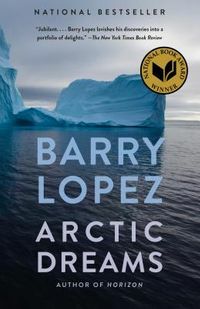 Part narrative, part poetry, and part meditation, this book charts the quiet places where the human spirit delights in solitude. It reminds us of our intimate connection with the wild and of the landscape's powerful pulse especially when there is nothing to be found.